Dry Anari Lefkonitziati. 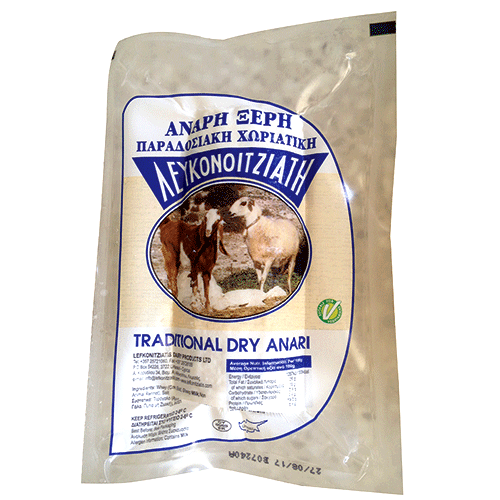 A dairy product (blend of cow, goat and sheep milk, rennet (non animal), salt). 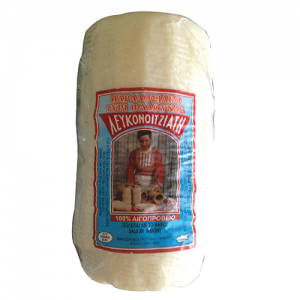 Hard cheese with rough texture. 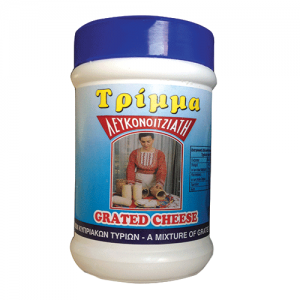 It is usually grated and added to food (e.g pasta).